Welcome to our car detailing specials page. 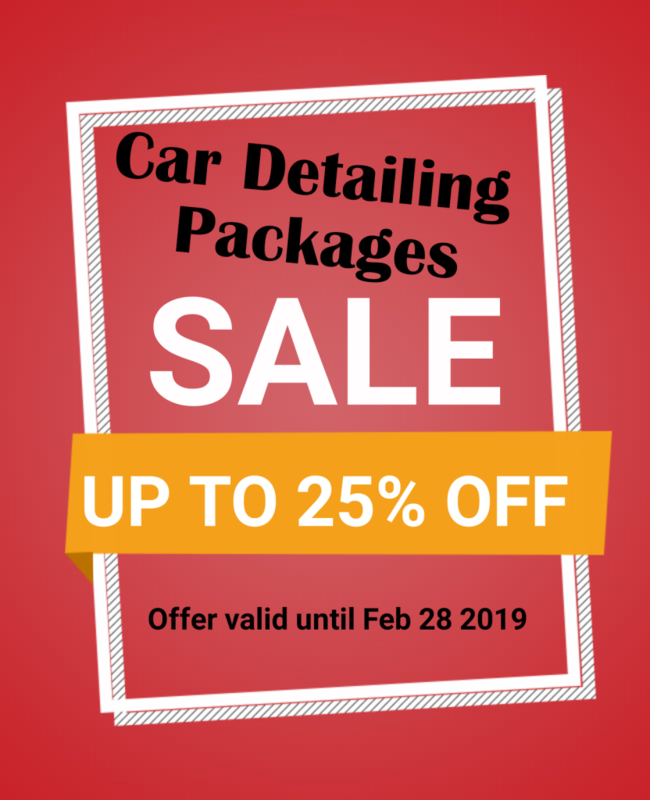 Here you will find our latest car detailing promotions, auto detailing promotions and ongoing discounts pertaining to the various services Budget Auto Detailing offers. Our professional detailers will bring your vehicle’s shine, scent and increase the value of your vehicle, because nobody likes a dirty vehicle. We offer three unique car detailing packages that suit all needs and budgets. Pick between any of our TOP 2 packages – Economico or Superiore and receive an additional 25% off the posted price. Offer Ends Feb. 28, 2019.